With the endless possibilities of things to do and events to attend in Las Vegas, finding a venue or attraction for your next corporate event is rarely difficult. However, coordinating group transportation for events is sometimes a hassle. When your colleagues have to drive their own vehicles, they may get lost, run into heavy traffic, or arrive late. It’s not a guarantee that everyone attending the event will have a reliable source of transportation. Las Vegas Charter Bus Company makes transporting groups of coworkers incredibly simple. We service charter buses and minibuses of all sizes that are perfect for your next holiday party, corporate conference, or exciting team-building event. No matter what your needs are for the trip, we can handle it. All of the professional drivers we partner with are certified and highly trained, ensuring the safety of their passengers. We charter hundreds of passengers each year and take pride in the customer service and satisfaction that our talented staff provides. 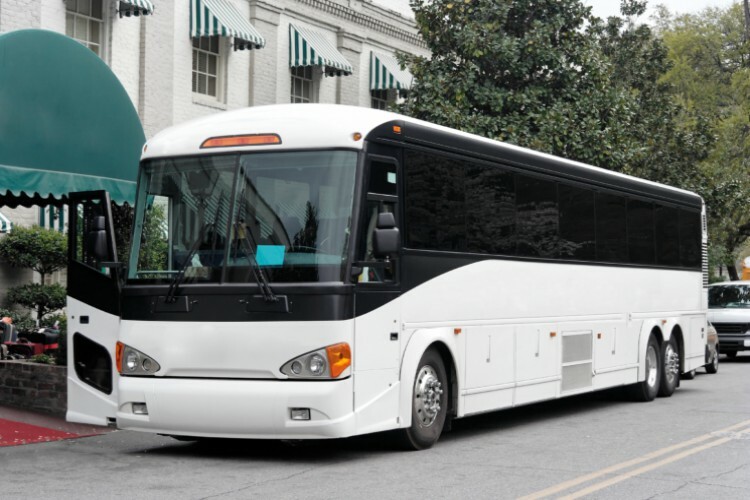 Here at Las Vegas Charter Bus Company, we make a conscious effort to ensure that you receive the best quote available and the most seamless experience possible. That’s why our friendly staff is available 24/7 to answer any questions you may have when booking a charter bus with us. We truly advocate the beautiful city of Las Vegas and it’s our passion to provide great corporations like you to ride in luxury and comfort to and from any event. Whether your team is headed to one of the many conventions at the world-renowned Las Vegas Convention Center or attending an event at the World Trade Center Las Vegas, we can take you there. When you finally sign a deal with your dream client and want to impress them, take them out to dinner or a night on the Las Vegas strip in style by riding with us. They will be happy they chose you and you will be happy you chose us. Call 702-780-0886 to receive your free quote today. We put our best foot forward to provide a seamless experience for all passengers. Let us make your next corporate event one that your colleagues will never forget!